Does this method work to bring up an existing server deployment in a new domain? We need to migrate our existing AX environments to the new domain but in my first attempt I could not create a new client configuration to start the UI because WCF could not be refreshed. This was after I had updated all domain and SID columns in the USER_INFO table and had successfully brought up the AOS. These instructions don’t appear to require new configuration files so I am curious how you were able to bring up the AX client in a new domain without that step? When writing this tutorial i took into consideration that you are moving the Database to a new server / domain – Meaning that the AX installation with it’s clients is already set-up in the destination environment. In this scenario we are just replacing the database with a new one – the clients are still connecting to the same AOS and don’t need to be reconfigured. What is the error you get when trying to refresh the WCF? Thanks Michael, we are moving to a new domain–not new server+new domain. We want to try physically changing the domain for our existing servers and then bring up the instance in the new domain. 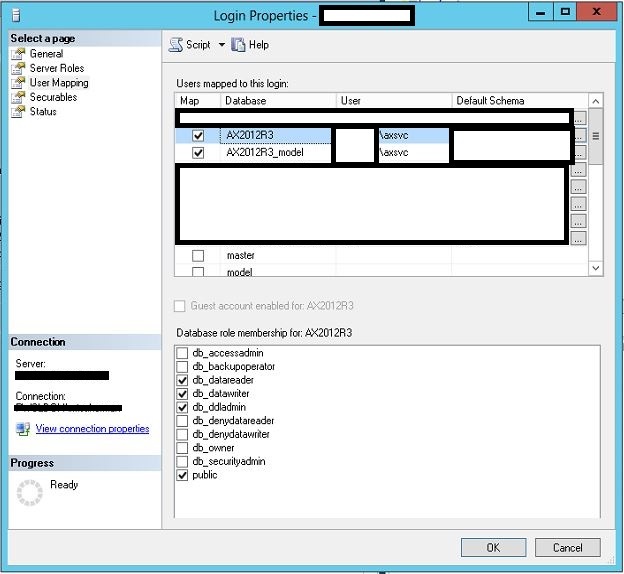 I was successful in bringing up SQL Server and the AOS, but not the client, the error I am getting is “Unable to log on to Microsoft Dynamics AX.” Do you know of anyone who has done this ? This might be a bit tricky as there are many security related issues that might be missed when changing an already installed enviroment to a new domain – Please check the event log on the AOS server to see if there are any errors during the AOS service startup – event if it’s started successfully. Also there are 2 stored procedures inside the AX Database called CREATESERVERSESSIONS & CREATEUSERSESSIONS – Make sure that the AOS service account has Execute permissions on them. There were no errors at AOS startup, the only error is unable to login when trying to refresh WCF. This means I’m unable to create a working client configuration in the new domain. I find it hard to believe there isn’t a documented way to do this. Do you know anyone else who may know how to do this using existing machines and AX installations ? If there really is no way to do it, then we have to duplicate our entire AX architecture–both Production and non-production instances, and reinstall everything. That is a huge undertaking, to say the least. At this point I am wondering if I should delete the client from the server and reinstall the client only ? Even if I had to remove the AOS service and the client together, and reinstall both, that would be much less work than having to provision all new hardware, install the OS, install SQL Server, and install AX components including SharePoint, MR, and all our integrated apps like Sales Tax Office, BI360, &c. We basically would have to completely duplicate the entire AX environment as it exists here. Not excited about this prospect ! Nice tips Michael. Thanks for identifying core tables which needs a refresh for environment redeployment. The error Marcy was pointing out may have multiple reasons. 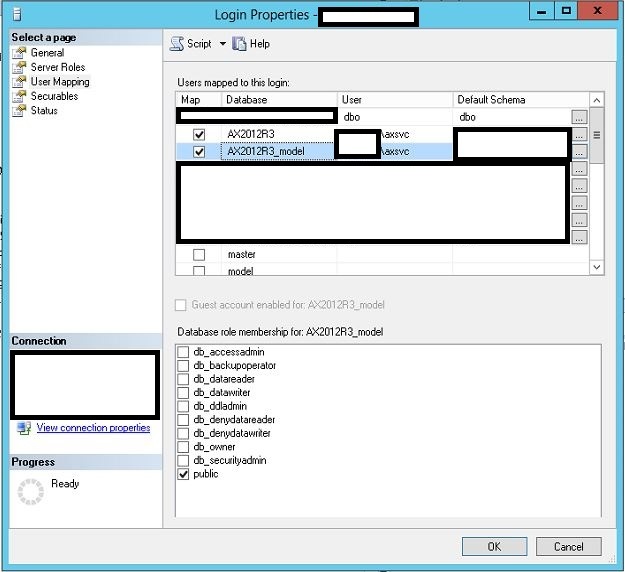 Like unable to login to AX – might be due to pointing to a wrong AX configuration which occurs sometime a shared ax configuration file used as a configuration store in AX client, or user doesn’t exists in the DB. Secondly, WCF issue, in order to have successful WCF refresh, the full CIL needs to be performed in AX, Refresh all the services in AX (AIFServices form). Then try to refresh the WCF in the client configuration utility. I have one query regarding deployment from UAT to production server.as per microosoft whitepaper we should import/export through Modelstore.whats your viewpoint on this.will this work same like modelstore as you explained above? Exporting & importing the model store – copies only the model store (developments/code) to the new environment – Business data will not be transferred. The method above explains how to move a whole deployment from one server / domain to another.